If you're planning a fall party, check out this useful and pretty fall wine glass marker DIY Virginie, from That Cute Little Cake put together for us. 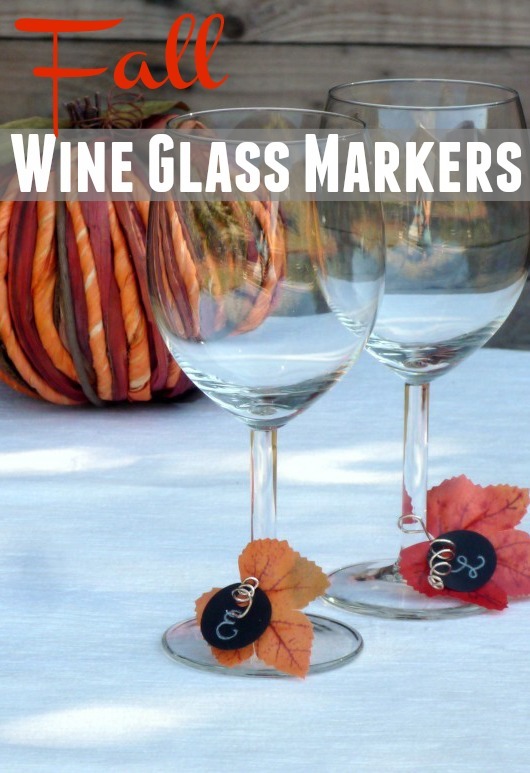 Now everyone will know whose wine glass is whose. 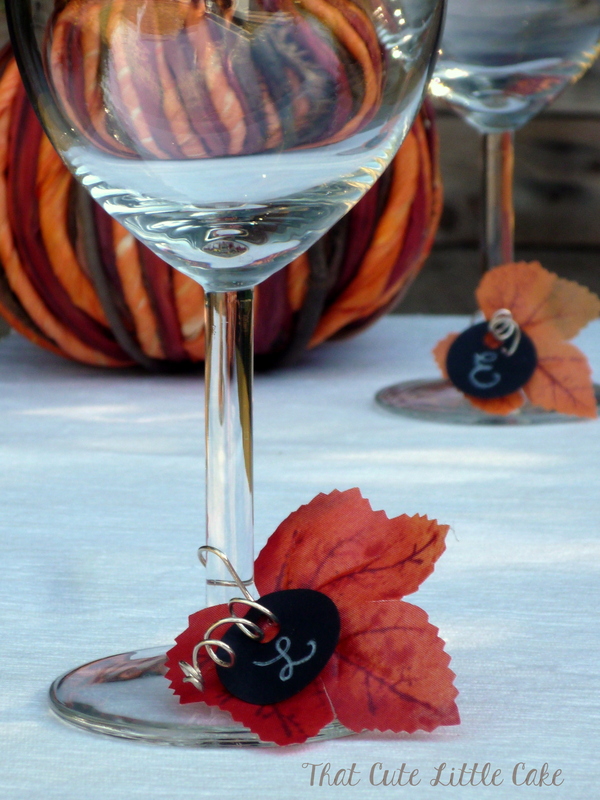 I'm always so grateful when a host has glass markers! I love fall and it's mainly due to the beautiful colors of the trees. It is a great time for a family gathering or simply for inviting friends around. 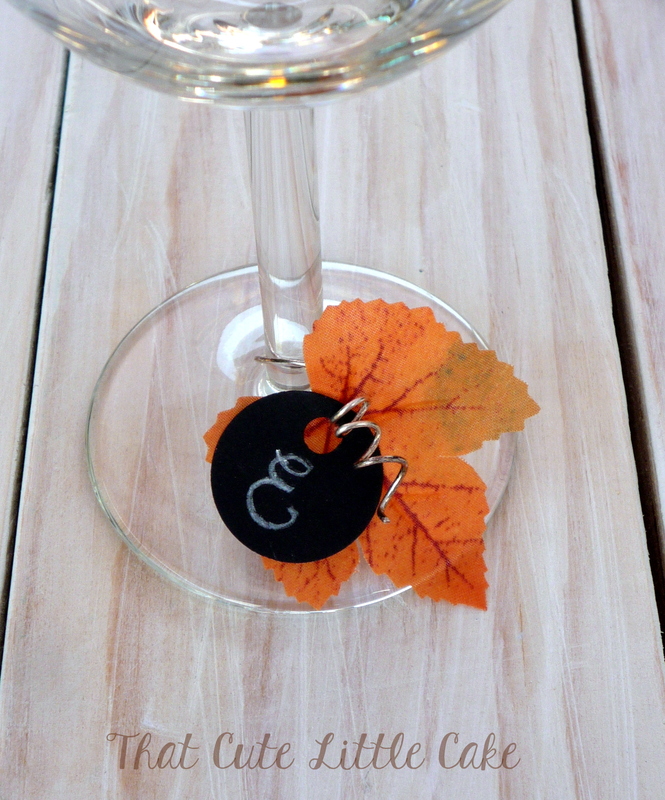 Here is a little craft that will help at your next celebration: wine glass markers! 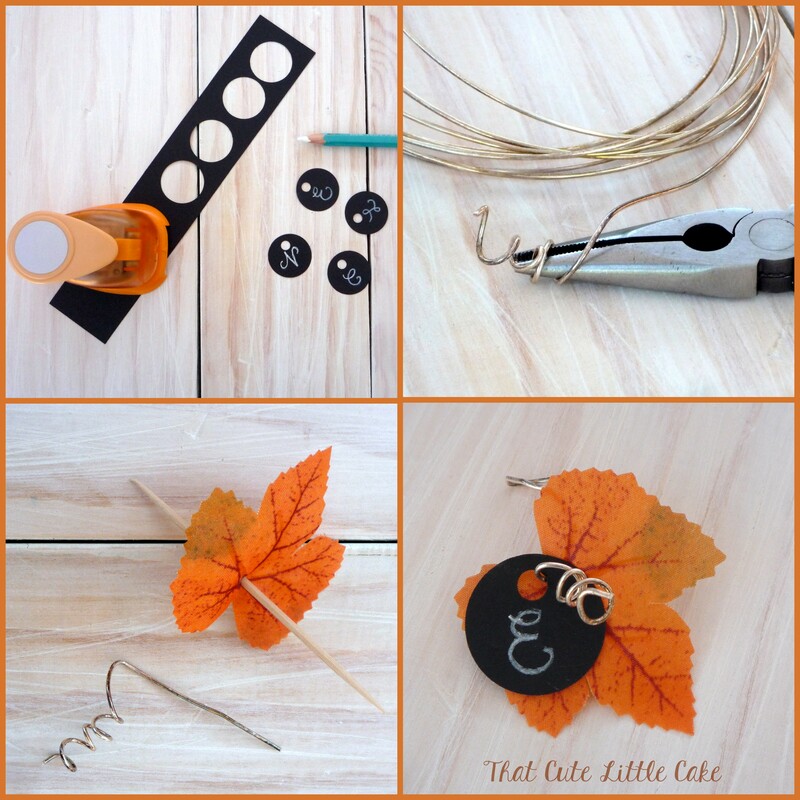 But we might as well make them pretty and seasonal by adding a leaf embellishment. Start by creating the Monogram labels. Punch a 1" circle in the black paper. Then use a little hole puncher to add a hole on the side. 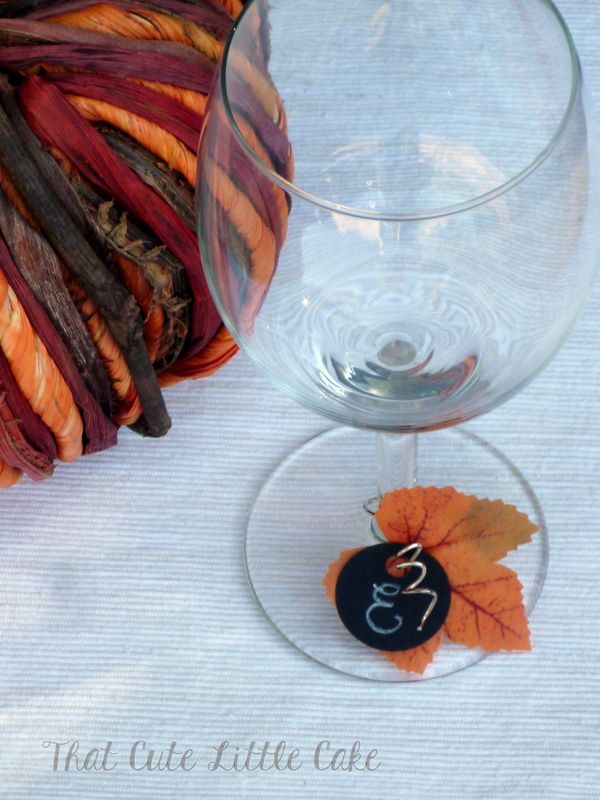 Finish by writing your guest's initial with a white pencil. Use the pliers to bend the wire and create a little spiral. Cut the wire, leaving a couple of inches of straight wire after the spiral. Cut off a leaf and make a little hole near the stem using a cocktail stick or a skewer. Insert the label and leaf on the wire. Loop the straight part of the wire around the glass to attach. 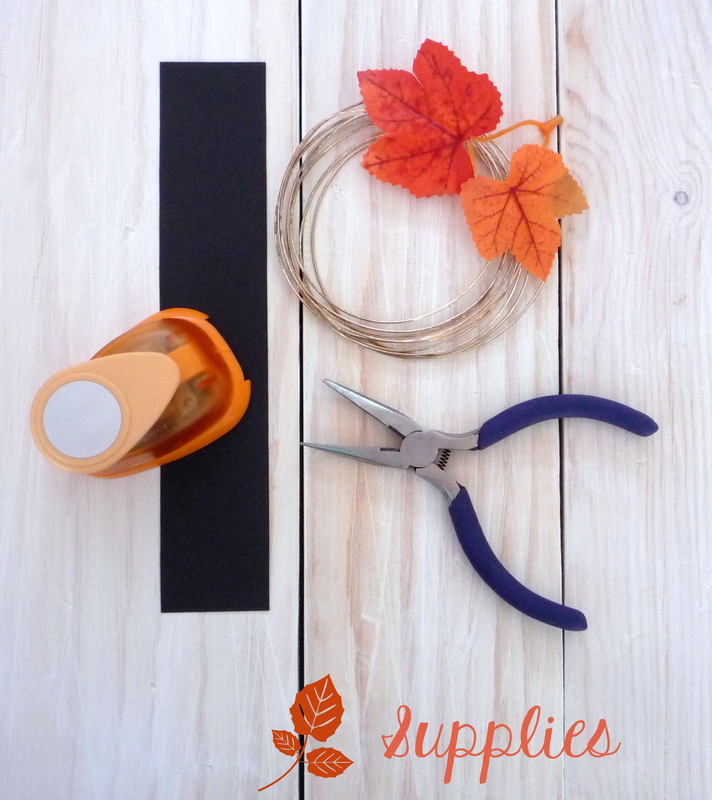 And now you've created something useful and seasonal for your guests to enjoy. Thank you, Virginie, for sharing your creativity with us once again! To learn more about Virginie, please visit her at That Cute Little Cake and on Facebook and Pinterest.